Paul was competing in the Xterra Stoaked Triathlon in Hanover, NH this past weekend and I wanted to once again test out my bikepacking/touring setup. 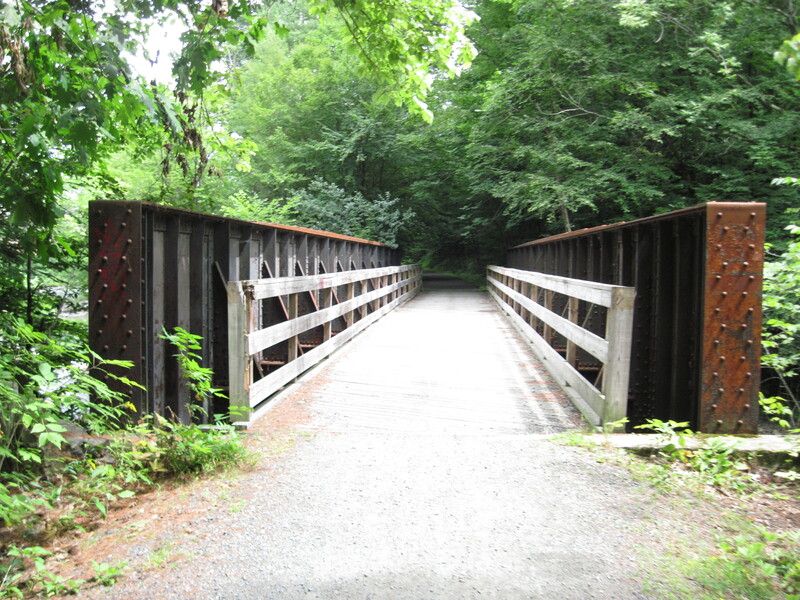 It was the perfect excuse to also check out the Northern Rail Trail from Franklin to Lebanon, NH. 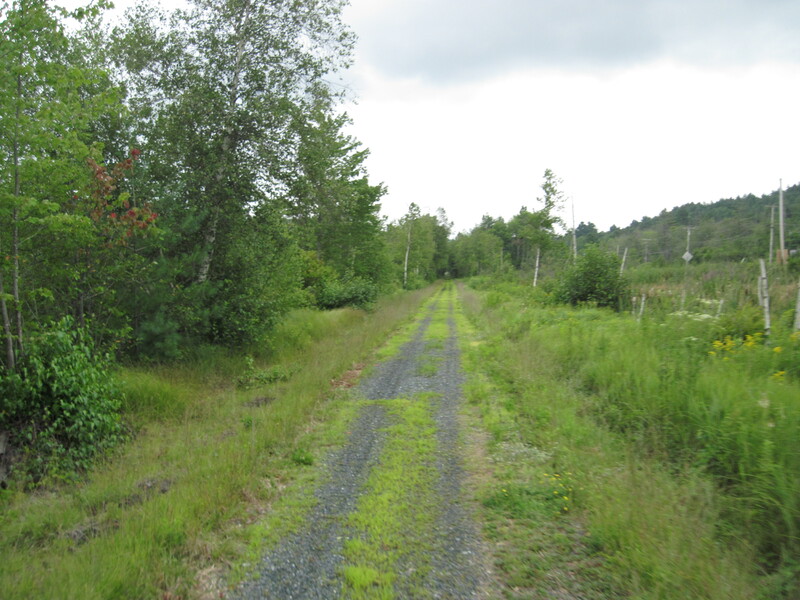 This will eventually be a 57 mile rail trail from Boscawen to Lebanon. Currently there are 47 miles of the trail complete with another 2 miles to be done this Fall. 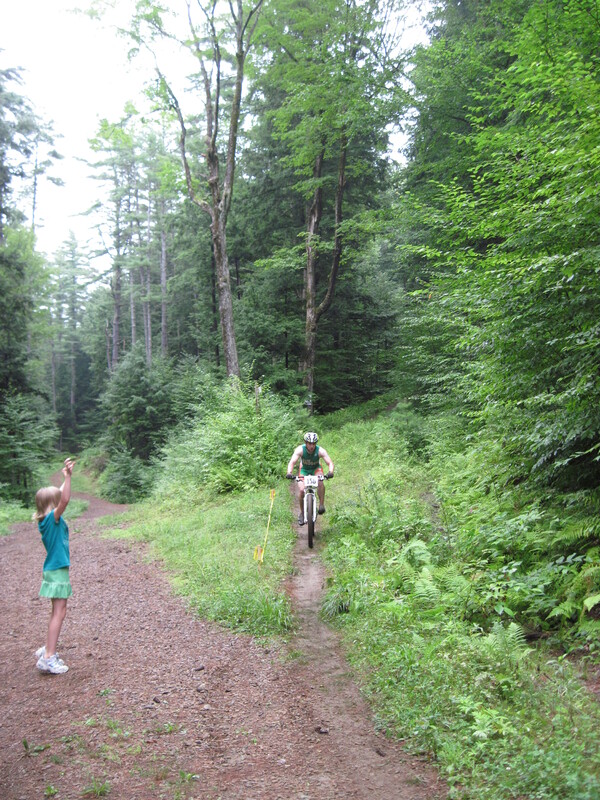 You can currently ride from just before Webster Lake in Franklin all the way to Lebanon on the trail now. I left my house mid morning on Saturday for the approximately 70 mile jaunt to Hanover. The goal was to bike up, camp at Storrs Pond Saturday night, watch Paul and our friend Juston (up from Virginia) race on Sunday and then head home. It is 14 miles from my place to the start of the trail 2 miles south of Webster Lake. From there it is more or less a straight shot at 2-3% grades all the way to Lebanon. 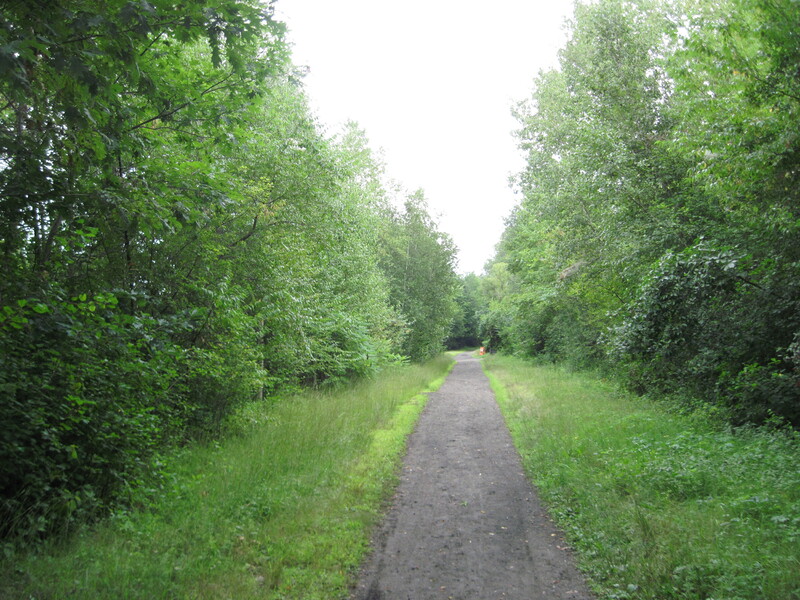 That is one of the fun parts of using the rail trail, I avoid a lot of up and down hills. The trail itself is not flat, it is deceiving, but most of the time you are going slightly up or slightly downhill. None of the trail conditions are unrideable and you could probably do the whole thing on 700 x 28c tires. Anything smaller than that and I think you would be hating life after awhile. The smooth section ( No. 1 above) from Franklin to Danbury was fairly busy with users. I think I must have passed at least 25-30 riders, walkers, joggers through that first part of the trail. The stretch between Danbury and Enfiled (No. 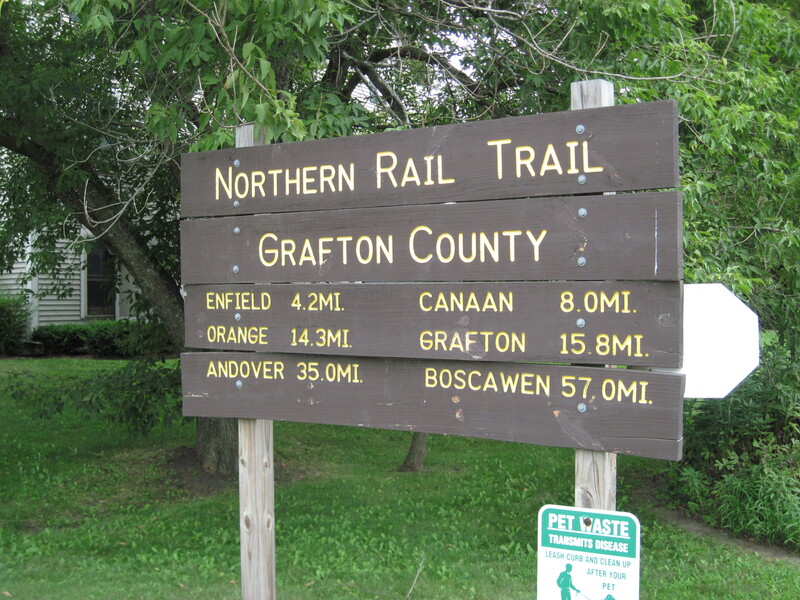 2 above), which encompasses Gafton, Canaan and Orange, NH is the grassy and loose section. It was the least used section of the trail and I didn’t see anyone else in those 15 miles. The last section (No. 3 above) from Enfield to Lebanon is the oldest, and most heavily used from what I can tell. It also appears to have the buy-in of local business owners with the Enfield House of Pizza, Dunkin Donuts, and a gas station/quick-e stop all posting signs to alert trail users that they could gain access to each establishment from the trail. That is what the Franklin side needs. Just the Andover House of Pizza has a sign on the southern sections of the trail. I made fairly decent time to Lebanon. 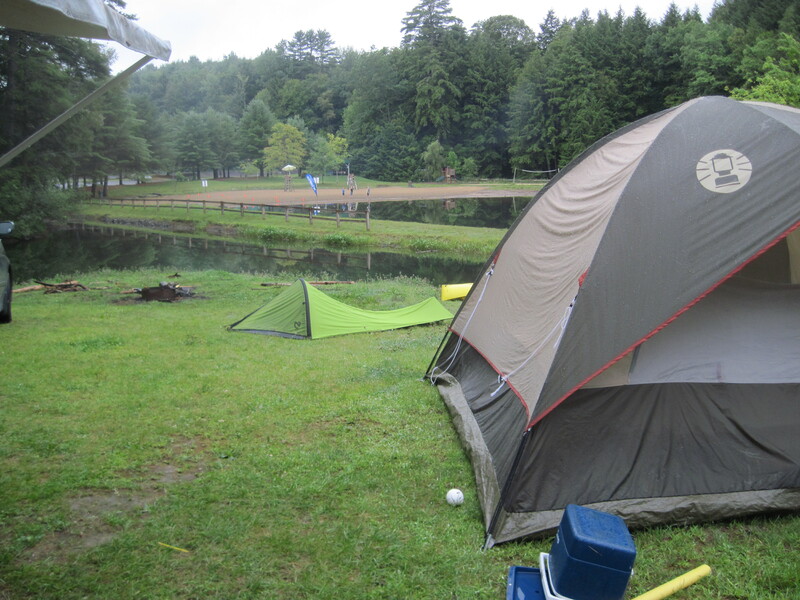 I was fully loaded with camping gear and it was hot and humid. I had to tone back the pace a bit through Grafton and Orange as I was starting to bonk a bit. After a quick stop in Enfield at the above mentioned gas/quick-e mart I was good to go for the final 12 miles to Hanover. Lebanon side has more information than the Franklin side. 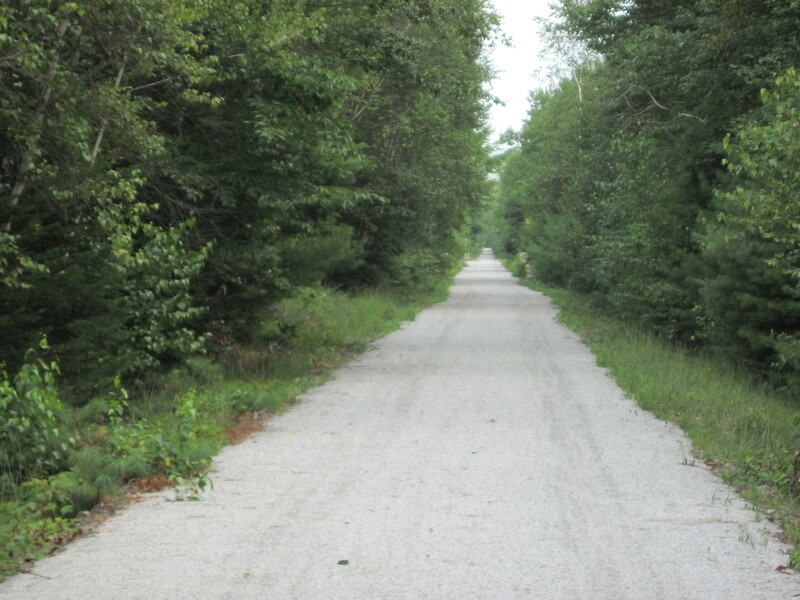 From the northern terminus of the trail it was a rolling 8 miles to the campground/event location. It took me just over 5 hours to get to Hanover. Not too bad considering I was riding the Fargo fully weighed down with gear. When I got to the campground I found Paul and Shannon’s site pretty quickly. They borrowed a pop up from friends and my parents minivan. Paul and Shannon had a full brood with Noah, Bella, Travis, and a friend of Travis’s who’s name currently escapes me. 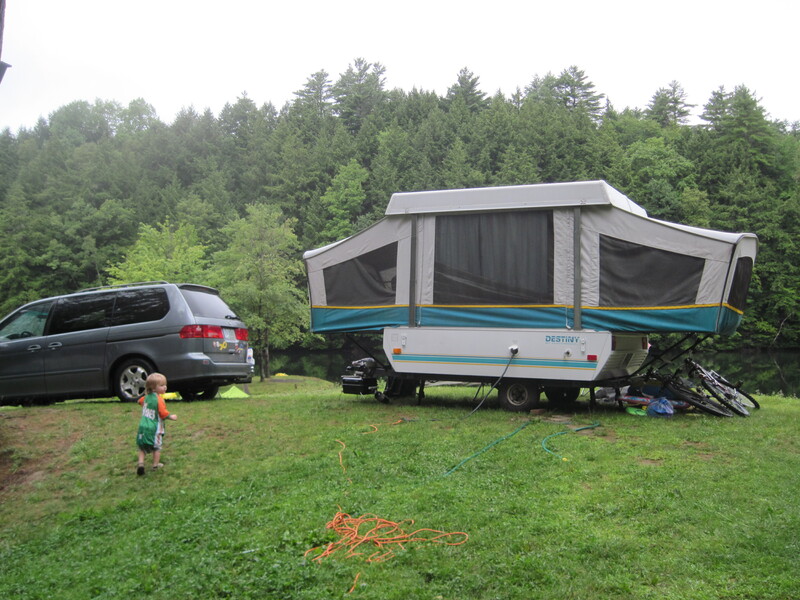 Juston and Laurel were camped next to them and Shannon had invited her friend Julie and Julie’s daughter Grace up for the weekend too. 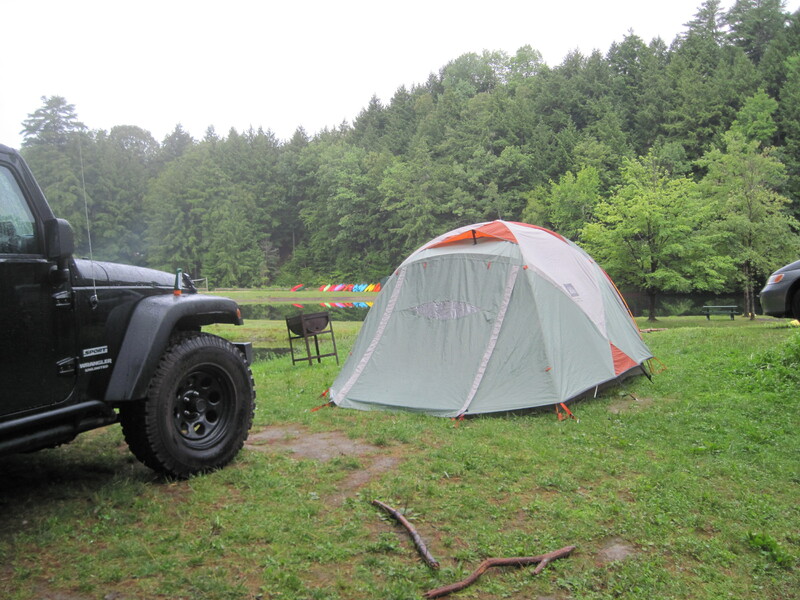 It was quite the compound between all of the tents, cars and bikes. Another HUGE reason to come to this race was to see my friend Juston. We met years ago at the Vermont 50 mountain bike race through another mutual friend, and to make a long story short, we kind of went back further than that. Juston was in the Air Force and stationed as a navigator in Oklahoma at Tinker AFB. My older brother Steve was an AWACS pilot also at Tinker and apparently they had flown together, been stationed in Turkey together, and so on. It really is a small world. Anyways, Juston has been living in Richmond, VA for a few years now and we don’t get to see him that much. Though he has been making an annual pilgrimage up to this race. So it was nice to see him again and meet Laurel. So, we all hung out Saturday night, got a lot of free food at the Xterra Potluck. BOLOCO donated about 60 burritos and other people brought cookies, pasta salad, beer, etc. I was not lacking in the food department. Especially after 5 hours of riding. We then sat around the campfire, making s’mores, and having a good time, until of course the rain started. I was in my little tent with my iPod and also listening to the rain fall outside. It was going to be a good test as to how waterproof the Nemo Mio is. It rained off and on all night. I stayed relatively dry. Some moisture came in from the bottom of the tent (I must get a ground cloth for this thing) and there was a fair amount of condensation built up inside. I will hold off judgment on that second part, it was pretty crazy humid and I do put off a lot of body heat when I sleep. It does make me think of a Big Agnes Seedhouse or something similar though. Lots of mesh would mean lots of ventilation. But would I give up weatherproofness? Plus the Nemo Mio packs down wicked small, I digress though. Needless to say I was up early on Sunday. I had been in my tent for over 8 hours. I was hungry too. Plus with Noah and Bella, I knew Paul and Shannon would be up very early. Those two do not sleep late at all. Paul and Juston had to get ready to race and the rest of us had to get ready to watch and cheer them on. 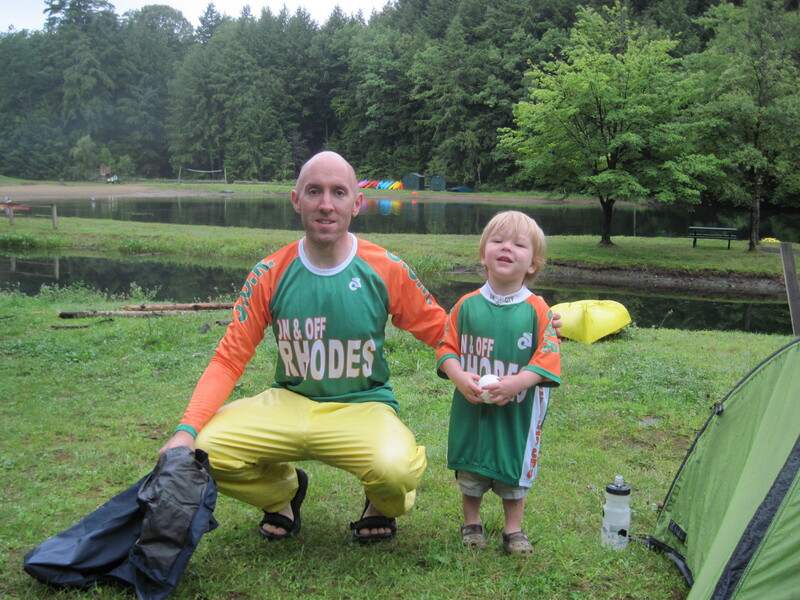 Pete and Noah, team support for Paul! I’m going to leave a detail description of the race itself to Paul. I’ll just post a few pics and tell you it was great fun to watch. 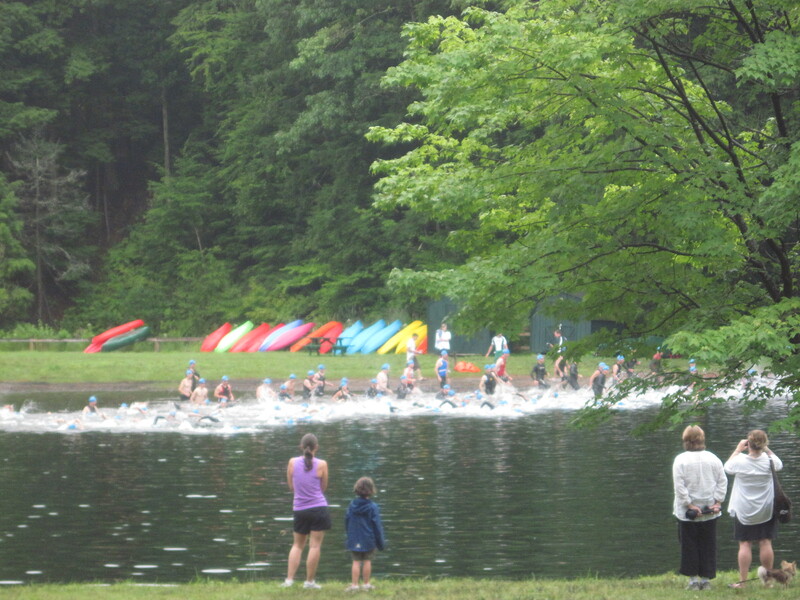 I can’t bring myself to do a triathlon because I don’t think you should sweat while you swim. If this was a duathlon I would be all over it. 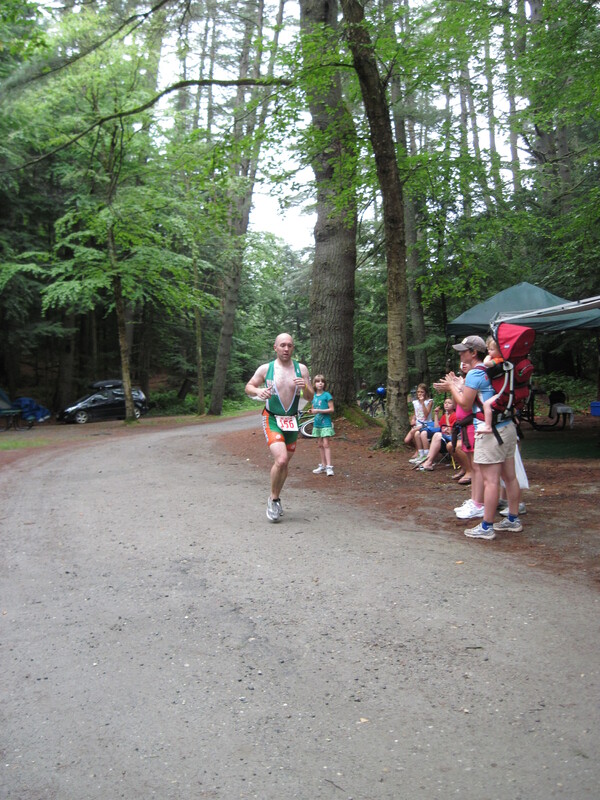 I did the 14KM trail race last year, that was tough! Paul and Juston are there someplace. Soon after this last shot Juston came by with a very expensive kick scooter. Apparently he had broken his chain! All in all this race has now cost him 2 flat tires last year, a torn sidewall on Friday and a broken chain on race day this year. 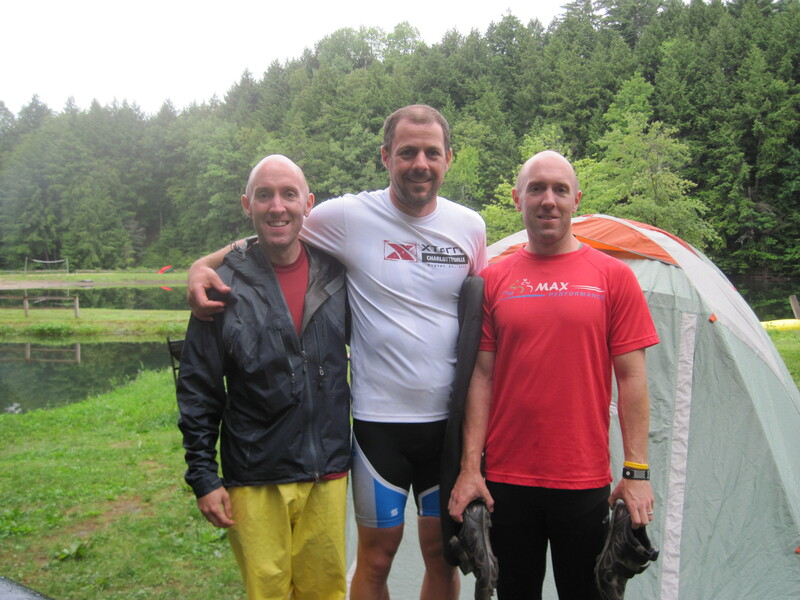 For some reason Xterra Stoaked does not like him……..
Paul moved up quite a bit on the mountain bike course. Next was the run which was nothing but up and down the whole time and has this mind numbing section through an open field were they just keep snaking you up and down the slope of the hills. Paul was looking pretty rough on the end of his 2nd lap. He did pretty darn well though. 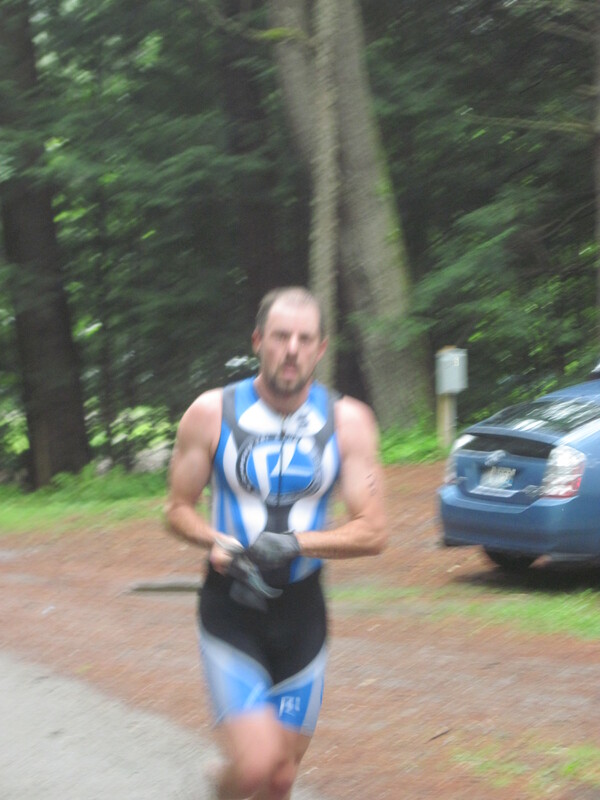 Beat a few guys with some pretty impressive triathlon resumes and better yet beat his goal that he had set for himself. After hanging out for a bit and saying bye to Juston and Laurel as they headed back to Virginia, I had to hit the road for my bike ride back to Concord along the rail trail. I knew it was going to be close to 5 hours and the forecast was calling for thunderstorms. I took the wimpy smart move of giving Paul all my camping gear so that I could ride back to Concord unencumbered. My legs were pretty tired from nearly 70 miles the day before, but they started to work after about 5-6 miles. I had a better gauge now of the points along the trail and how far I had until home. On Saturday the Danbury to Enfield section was all new to me, so I had no idea where I was at times. I made it back to Concord only 15 minutes faster than it had taken me to get up the day before with full gear. I was making decent time, but was pretty tired by the end of the ride. The plan now is for a cyclocross ride from Webster Lake to Lebanon and back some time in October. That will be in the 90 mile range.